The small island of Spinalonga located in the middle of the Gulf of Mirabello is a place of long history starting from the ancient Greek era and the Venetian times reaching the period of the Ottoman occupation in Greece. However, the island was last inhabited between 1903 and 1957 by people suffering from Hansen's disease, a.k.a Leprosy. These intriguing facts have built the legendary image of this jewel in the bay of Elounda, and inspired Victoria Hislop to write her book “The Island” which tells the story of a traditional Cretan family living in the village of Plaka across Spinalonga, whose members were infected by Leprosy. Due to its rich narrative and authentic detail, the novel of Victoria Hislop creates a convincing portrait of times on the island. What's more, the book has also been transferred on TV in a series named after the book. Because of this production the neighboring village of Plaka has been restored to its former charm, so visitors will enjoy their trip in the quaint surroundings. However, the island has been a famous tourist attraction even before Hislop's best seller, thanks to its standing Venetian fortress and other archaeological treasures. Walking around the Spinalonga you can feel the vibes of history and see true evidence of the lives that the island's suffering souls have lead. 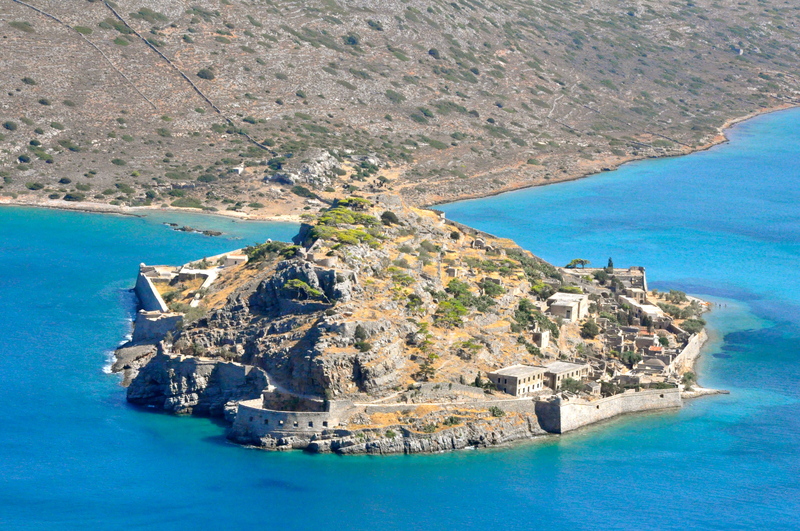 Your visit to Spinalonga will start from Elounda or the village of Plaka, where you'll take the boat, and your tour should definitely included the Venetian arched cisterns, the guard's building, the gunpowder magazine in the church of Ag. Nikolaos, as well as the houses of the island's last residents. So, during your holiday in Elounda Gulf Villas & Suites do sail to Spinalonga and let the island tell you a story long ago.